75 Cent Shiro And Priceless Conversation. Coffee doesn’t come any blacker than this. I’ve been back from Ethiopia for a week and a half now. I’ve finally recovered from jet lag. My work on the photos is largely done, and now I’m going through hours of video. I spent the better part of a week with 150 people who live their faith in the same way the early church lived their faith. These men and women are living in some of the most dangerous places and are literally putting their lives on the line for their faith. I met people who have been beaten and stabbed, lost their jobs and families, and still find Jesus to be who he said he was and consequently worth everything they’ve gone through. I shot video of some of the most incredible interviews you could imagine, some of which had to be shot in silhouette to hide their identity. I thought the stories of the early church were good, but some of what I heard was better. You’d think then that the interviews would be the highlight of my week, but they weren’t. During lunch each day the team I was with would walk back to our hotel and have lunch at the hotel restaurant. One day I decided to instead go across the street to a vendor who had been cooking a pot full of something that at the time I could not identify. 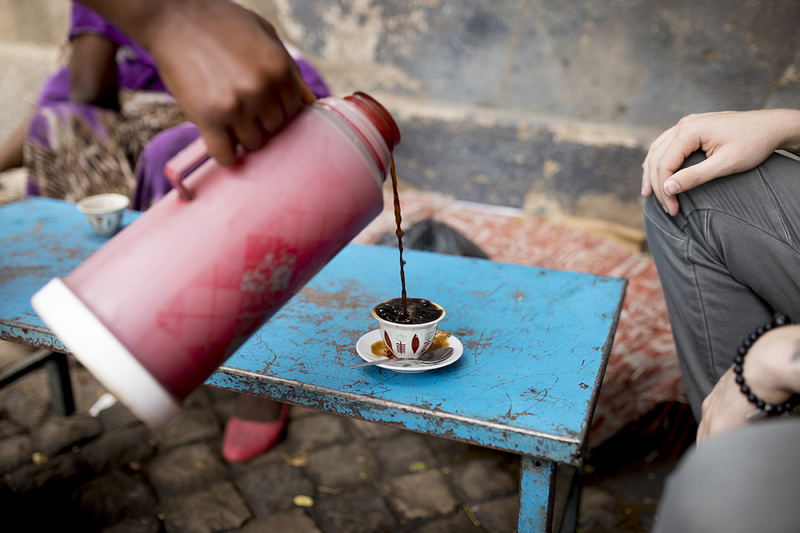 Generally I would go across to her spot (there was no stall,) and have buna, or really strong coffee served in a small cup. As I sipped my buna earlier that morning and watched her cook, I decided to have lunch there instead. Now before you tell me that it’s foolish to eat street food in Ethiopia, I’m just going to say that just because the kitchen is in a hotel doesn’t mean it’s any cleaner than the street food. Plus, I’d been able to actually watch her cook, and I was comfortable with it. As I walked over with a couple friends I’d traveled with, I realized that the place I would be having lunch was where the indigenous church planters we’d been ministering to were also having lunch. There were probably about thirty people all sitting together on plastic stools at low tables having what turned out to be shiro with either injera bread or baguette. Shiro is boiled bean flour mixed with water, berbere spice, garlic, and rosemary and boiled until it’s the consistency of thick soup. You then sop it up with the bread. Flavor wise, it was one of the better meals I had in Ethiopia. But flavor isn’t all there is to lunch. The church planters made room for us at a very small table and through our translator, we began to get to know each other in a way that hadn’t been possible in the more formal setting we’d generally seen them in. Before I left for Ethiopia, a friend of mine had told me that God felt he had a message for us as we were going. That message was that a lot of these men and women were having such difficulty that they were thinking of giving up. He said our presence would be very important, because it would help the Ethiopians know that they are not alone. As I sat telling and listening to stories, they conveyed to us how incredibly important our presence was to them. They let us know just how much it meant to them that we’d come all this way to teach and encourage them. They said that because we had come, they would go and do even more. By having lunch with them, we were able to connect on a deeper level. No longer just teachers and pastors and students, we prayed for each other and become brothers and sisters bearing each others’ burdens. Lunch cost about $2 for the three of us, including tea, but I can’t put a price on the connection we all made that day. We had lunch there the next day as well. 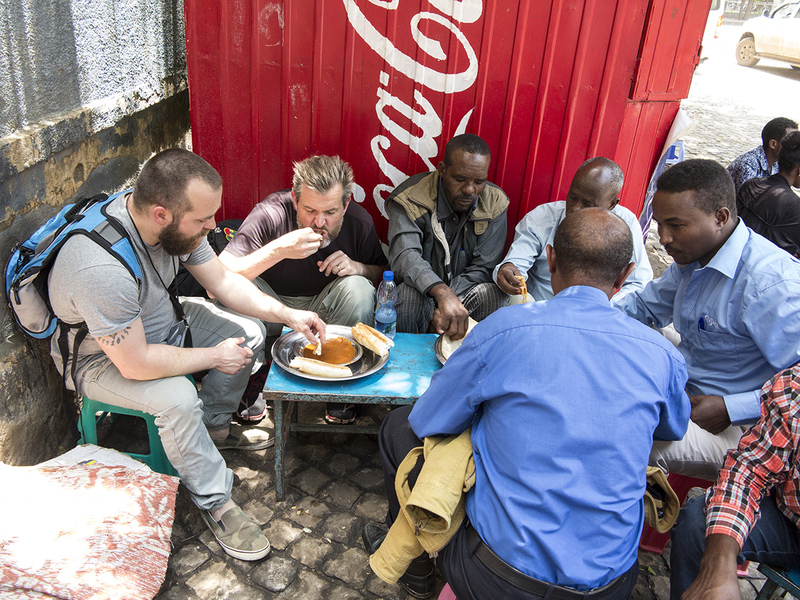 When I go back to Ethiopia again, I will make a point to eat with the church planters again. The hotel restaurant may have more than one thing on the menu, but it can never match the company. Lunch with the church planters. One of the great things about going to Ethiopia with Petros recently was the interviews with the indigenous pastors, and the stories of their lives that circled around the group. Much as I’d love to tell some of these stories, I think people with a western paradigm, even in churches, would have a hard time believing some of them. This is actually a sad thing for me, because I know that western Christians are dying to see God move, but if He did move, it’s unlikely they would believe what they saw with their own eyes. But this is an aside. 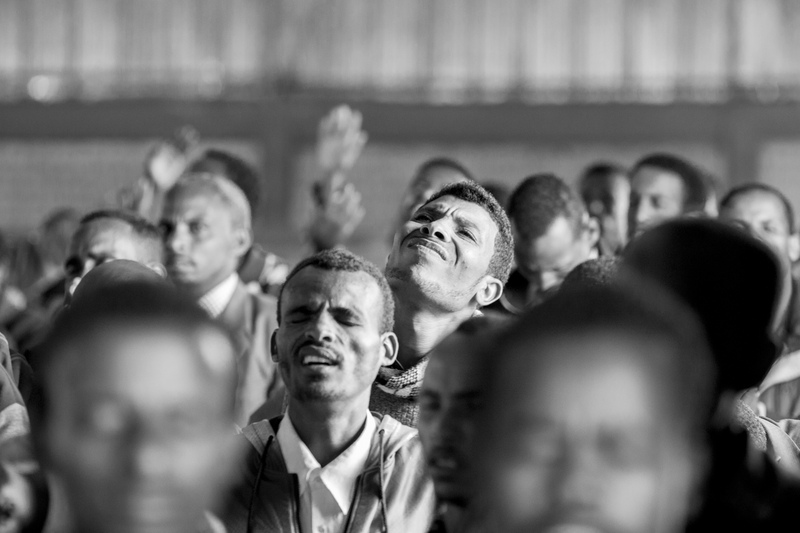 The thing that was impressed upon me over and over again by the Ethiopian pastors was their unwillingness to give details about the hardships they were going through. This puzzled me, and I’ve been thinking about it since. If it were me, I would think I would want to tell the first person willing to listen about the troubles I’ve been going through. Now cutting to the story of Jonah. For those who are unfamiliar with the story of Jonah, it’s found conveniently in the book of Jonah in the Bible. Jonah was, to say the least, a reluctant prophet. He was sent from what is currently Israel to a city called Nineveh near the modern city of Mosul, in Iraq. His initial reaction was to go in the opposite direction. After some not so gently coaxing, he ended up going to Nineveh and delivering the message God had given, that in forty days Nineveh would be overthrown because of their evil. After delivering the message, Jonah went to an overlook to watch the ensuing destruction. But the people of Nineveh’s reaction was not what Jonah had expected. The Bible says that the people of Nineveh believed God, proclaimed a fast, and put on sack-cloth and ashes (a sign up humility and brokenness), from the greatest to the least of them, even the king. And the king put out a decree that everyone should cry out to God, and let everyone turn from his evil ways and from the violence that is in his hands. God saw their repentance and humility, and he relented from the disaster He said He would bring. This made Jonah angry to no end. I’m not sure what happened to Jonah to make him this way, but as I said before, he was a reluctant prophet. It seems that the only thing that would have satisfied him was the destruction of a city of 120,000 people. I guess sometimes you’re able to deliver a message without actually learning anything from it yourself. So the only one in this story who was actually lost was Jonah himself. These verses hit much closer to home for these pastors than they do for us. Someone says to us, “Happy holidays” and we think we’re being persecuted. Many of these pastors have been stabbed, stoned, beaten or chased out of town by angry mobs. But they come back again, and it’s their forgiveness and compassion that eventually breaks through to people. It was realizing this that awakened me to the truth. It’s virtually impossible to love your enemies if you’re simultaneously complaining about them. If you truly love them, you realize that God loves them as well, and it’s only His forgiveness that’s made you any different from your enemies. This goes for me as well. I need to learn the balance between confronting lies and just being a complainer. I will learn from these men (and women) how to be a man of action who is quiet when quietness is prudent. I will learn not to simply complain because complaining never did any good, and because I can’t love someone when I’m complaining about them. Some of the new pastors in Ethiopia.